Sylvester Stallone has revealed why he brought Dolph Lundgren on board for Rocky IV. Lundgren is back as the iconic Ivan Drago for Creed 2, which hits theaters this week. However, he wasn't Stallone's first choice back in 1985. The Rocky Balboa actor met with him and then later started taking pictures together to see if he really was the best man for the job, and later gave him the role of a lifetime. 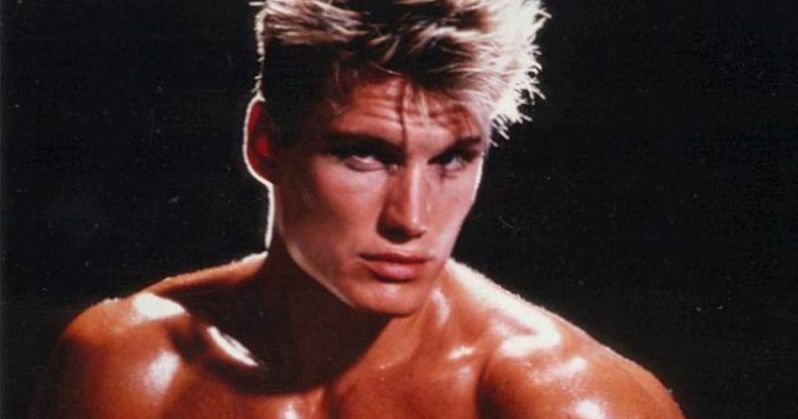 Lundgren is still remembered today for his portrayal of Ivan Drago in Rocky IV. Sylvester Stallone originally wanted Ivan Drago to be a "man-beast" in Rocky IV. The actor admits that element of the story went right out the window when he laid eyes on then 27-year old Dolph Lundgren. He thought that Lundgren was almost too perfect at first though. Stallone had this to say about casting Lundgren as Ivan Drago in the movie. "... I said, Everyone's gonna hate this guy, because he's flawless. He's 6-foot-6 and no flaws, no weaknesses. I said, This is interesting, because Rocky's just the opposite. He's really flawed. He's a throwback, and you're a throw-forward. And we both can fight and we both got styles that were perfectly contrasting. That's why I think the magic happened, but this one here, is equal or maybe better." Dolph Lundgren wanted the part in Rocky IV really bad and decided to take the advice of his acting coach and show off a more reserved approach, which gave off a quiet intensity. Sylvester Stallone was attracted to that aspect as well, noting that other actors went for more of an aggressive approach that was too easy. Lundgren was intimidated and star struck by Stallone, who had become one of the biggest movie stars in the world at that time. At the time of Rocky IV, Dolph Lundgren was dating Grace Jones and staying up really late at night partying all of the time. Sylvester Stallone noticed that he was tired, so he had him stay at his place to make sure that they got to their training on time. When it came time for filming, Stallone wanted Lundgren to be as big and imposing as possible, so he would have the actor stand on boxes or wear lifts to give the illusion of being taller and more menacing. When making the decision to come back for Creed 2, Dolph Lundgren wasn't sure until he read Sylvester Stallone's original script. It was at that time, he realized that he had some similarities with the fictional Ivan Drago, which he brought into the sequel with him. His career had major ups and downs, he was abused by his father, and he was unsure of himself, much like the character in the movie. Lundgren took all of that energy to channel it into his performance, which looks pretty intense from all of the promotional material. You can read more about Dolph Lundgren's life and career over at The Hollywood Reporter.